When you spot a pest control problem, it’s time to take action. At Pioneer Solutions, we know that pest-free structures are healthier structures. That’s why our exterminators work hard to help residential and commercial customers in the Carolinas get rid of unwanted bugs and mice. Our complete pest control services cover all types of common insects, including bed bugs, termites, fire ants, bees, wasps, and mosquitoes. Call us for a one-time treatment to deal with an urgent problem or schedule monthly or bi-monthly visits to keep bugs under control. If you manage a restaurant or healthcare facility, you know how important cleanliness is. Protect your reputation and the health of your clients by calling us at the first sign of a pest problem. Our exterminators are experts in treating food handling facilities and all types of medical offices. 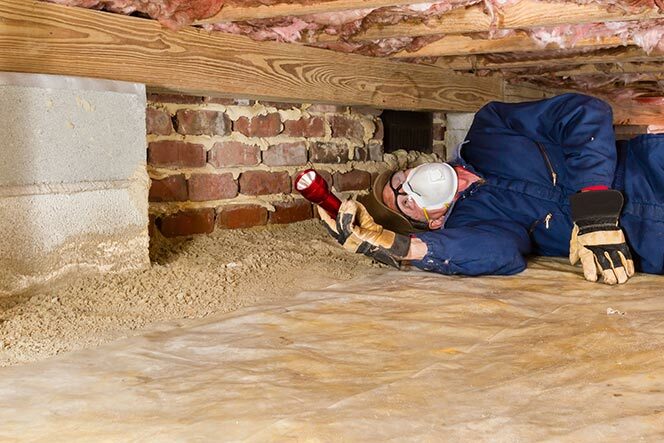 Excess moisture in your crawl space is like an open invitation for termites and other bugs to take up residence. We install vapor barriers, automatic foundation vents, and electric vent fans to improve ventilation and lower moisture levels to protect your home. Why Should You Choose Pioneer Solutions? Pioneer Solutions is a family-owned business with over 30 years of pest control experience. We’re licensed and insured in both South and North Carolina and serve customers throughout the greater Charlotte area. You’ll always get excellent customer service and results that last when you hire us. We’re here when you need us. In addition to memberships in the National Pest Management Association and the South Carolina Pest Control Association, we’re also members of the Lake Wylie Chamber of Commerce, the Greater York Chamber of Commerce, and the York County Regional Chamber of Commerce.